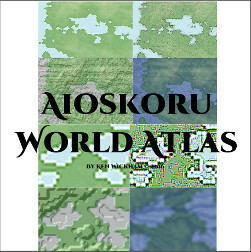 I haven't been posting that much because I am hard at work trying to finish the Aioskoru World Atlas. 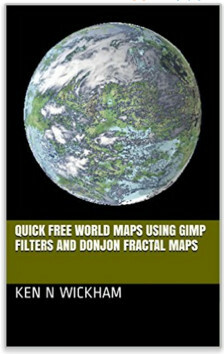 The techniques learned from this project will probably be in a follow up book of Intermediate quick maps using Donjon, GIMP, & Wilbur. With a few additional techniques I put together an Aioskoru Outline Maps which will be available Pay What You Want and will have the instructions for both books included. 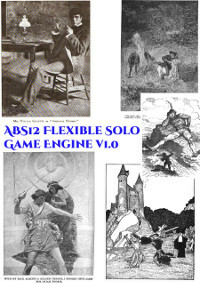 An unique game system and another module is in the working from Peter for Melos. It will be compatible with 5e and his own game system. I'm hoping to get AWA out as fast as humanly possible. It has been extremely fun to make. I'm still working on my first campaign release featuring the centaurs Ekouinmanus Kapos. I'm also working on releasing the book of Aioskoru Common Language - the first of 6 current languages for the world - which several of the words are listed in the Aioskoru World Guide. Elf, Halfling, Dwarf, Goblin, Orc, Fairy, & Demon languages are being created somewhat simultaneously.